Right now we’re in the midst of a bounty of summer fruits. Sadly, it won’t last forever. Here are nine sweet and tart jams to make now. Instead of the traditional strawberries, fresh blueberries are paired with rhubarb in this incredibly simple and delicious sweet-tart jam. This sweet jam calls for small plums, like Italian prune plums. Made with instant pectin, this gingery strawberry jam is amazingly fresh-tasting. 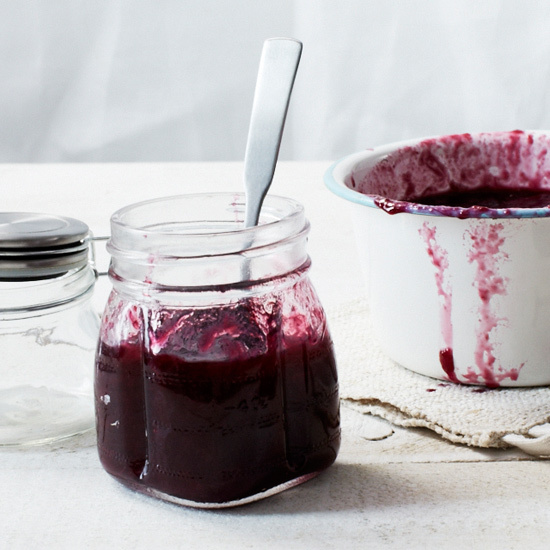 This super-simple jam will stay fresh for three months. Three types of ginger (dried, candied and fresh) give this jam depth. This berry-packed jam uses blueberries, strawberries, blackberries and raspberries. This simple mango sauce is made by cooking pureed mango with sugar and just a touch of lemon juice. Light and floral figs are fantastic in a jam. This delicious jam is surprisingly tart.